To some, music technology is simply a means to an end and the music is all that matters. To others, music technology holds some technical importance in its own right, but historical equipment is of little interest at all. And then there are people like me, who are fascinated by the pioneering work of our forebears — the people whose work and inventions brought us to the astonishing level of music technology that we all now enjoy and largely take for granted. 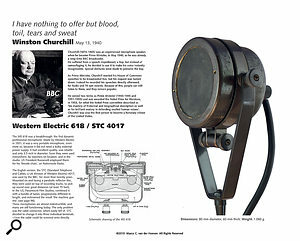 The book is beautifully presented, and includes a wealth of information not normally included in books about microphones. Marco C van der Hoeven is clearly also one of the last group. He has spent a lifetime (when not playing in or mixing live bands) amassing a vast and seriously eclectic assortment of microphones from all over the world. And not just the obviously classic and famous studio fare either, but every possible type of microphone, of every possible application and from every age. 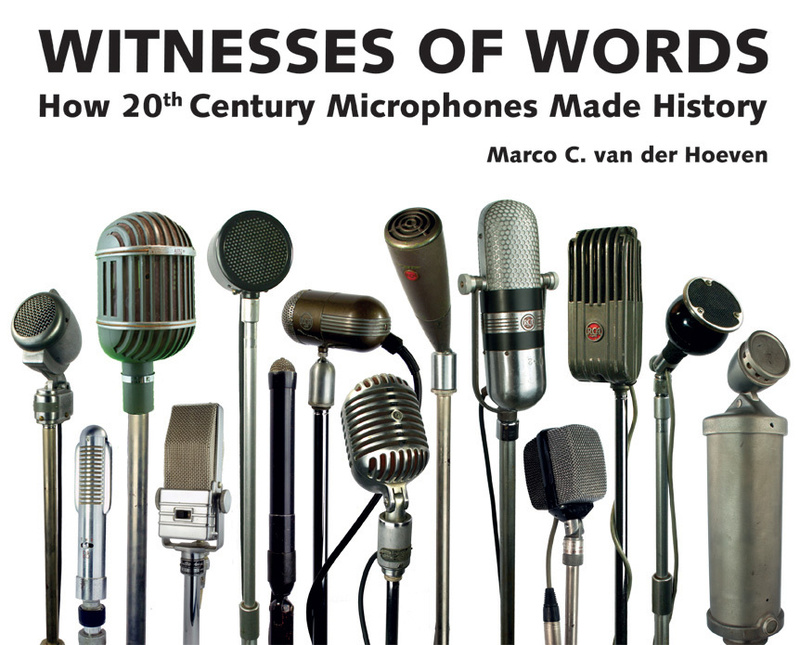 A collection like that is something that other like-minded ‘techno-nerds’ would love to explore, and thankfully for us Marco has written and self-published an outstanding ‘coffee-table’ book (its full title is Witnesses Of Words: How 20th Century Microphones Made History, ISBN 978-90-824156-0-5) in which he shares his extraordinary mic collection. This beautiful Quarto-sized (305 x 242mm) book contains around 130 pages, all crammed full of about 400 microphones. Many are familiar, more are obscure, numerous have become universally popular, while just as many are fascinating rarities... and then there are the plain bizarre microphones. They come from all quarters of the world, and not only from the professional studio realm, but also from hobbyist equipment, the military, and even the clandestine world of espionage! 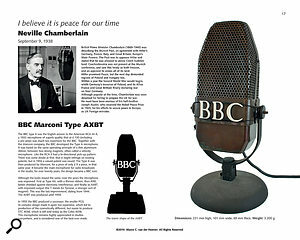 The featured microphones are illustrated with high-quality photographs, along with many fascinating contemporary advertisements, and lots of historical images of the famous (and infamous) actually using many of the mics. Marco’s interest in microphones goes beyond the obvious technical aspects to include the aesthetic design. 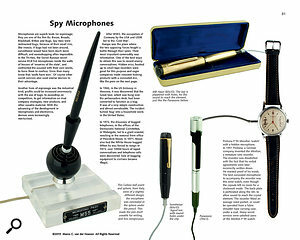 For that reason, the book groups some of the mics specifically to enjoy their art-deco or space-age design influences. He is also fascinated by the role of the microphone in many of the decisive moments in history. All in all, then, this is a very well-presented hardback volume, available at a very attractive price. 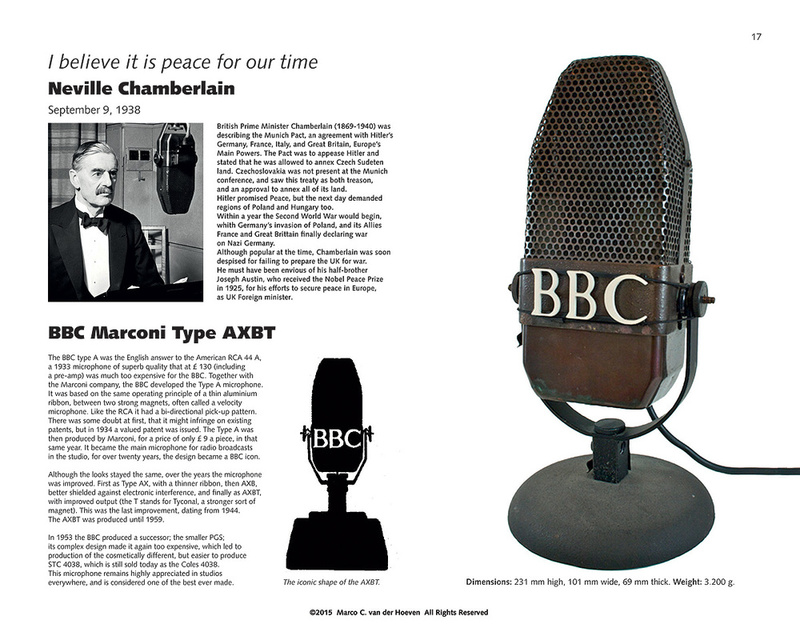 It’s a genuinely fascinating anthology of a wonderfully expansive and eclectic microphone collection, and for anyone with any level of interest in microphones and sound recording history, it will surprise and delight in equal measures. Highly recommended.